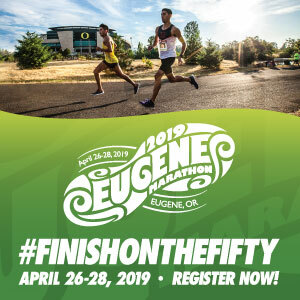 Eugene Marathon 2019 is approaching fast. If you are signed up and training, it’s getting real! The preview runs are a big help to those wanting a friendly group run and getting to know the course. I went to Preview 1, last Saturday. I knew the course is slightly different than last year, so I wanted to get a little taste of it. I also wanted to experience the course while “not racing.”I felt as if it was a good idea to go feel and see what is in store for my marathon next month and many other runners joined me! We meet at Whole Foods. As we walked in, the smell was amazing. I wanted to eat a full on breakfast right then, but I knew I needed to hold off on that thought! Runners were greeted and given directions. There were different distances to chose from. 6, 8, 12 and 16 miles. It was my long run day and I wanted to see as much of the course as possible, I ran the 16. Maps we’re available for all distances. We were sent off shortly after 9:00a. I ran with the two friends that came with me and meet two new friends out on our 16 miler. It was really fantastic to have others to talk to about the course, how their training was going, and simply for the company. When we arrived back at Whole Foods we went upstairs, where Eugene Marathon had set up. We got to visit with race director Richard Maher and three other Eugene planners who were happy to answer any of our questions. We were offered a free massage by the awesome LCC students. I took full advantage of that! We we’re also given a box of pancake mix to take home by sponsor Krusteaz. There was nearly 110 people in attendance last weekend, making it the biggest preview run in Eugene Marathon history! They’re hoping to have even more people in attendance April 13th. Preview Run 2 will be Saturday April 13th at 9:00a at Whole Foods Market (353 E Broadway, Eugene, Oregon 97401) This preview will mostly the same distance-wise with some different parts of the courses to preview. The students from LCC massage with be back again (I love this bonus). Join the Facebook event here so you don’t miss any information. Note: please don’t park in the Whole Foods parking lot as it is reserved for the shoppers. There was parking all around the store. There will have 6ish, 8, 10, 12, and 16 mile options. There will be different group leaders for each option, and Eugene Marathon will provide maps the morning of. These distances run along the current course! Water will be provided along the course. The course is nearly the same with the addition of downtown Eugene. Runners run down Willamette and 13th, which is a change. Once runners get to S. Eugene, they run the course the opposite way. For marathon runners, they head towards Valley River Center FIRST instead of Springfield like normal. More of the river trails will be feathered in the Preview Run 2, so it will be worth coming too! It’s not too late to register for Eugene Marathon, half or 5k. Something fun and new this year it the Krusteaz Doublestack Challenge! Participate in the Marathon or Half Marathon on Sunday and Eugene 5K on Saturday. You will receive two finisher’s medals, a special Kruteaz Doublestack Challenge finisher’s medal, two goodie bags, two bib numbers and twp breakfasts and a t-shirt! I’m doing both, will you consider joining me? To participate in the challenge, you must sign up first for the Marathon or Half Marathon. 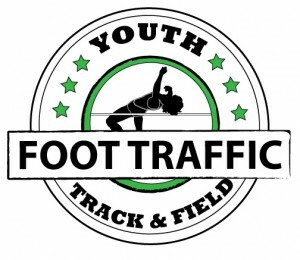 Upon registration, a unique promotion link is sent in a confirmation email to sign up for the Eugene 5K at a discounted $15 price. After signing up for both races, you will be automatically registered for the Krusteaz Doublestack Challenge. For more information, please contact Director of Communications Justin Hanes Justin@eugenemarathon.com. It’s not too late to register for Eugene Marathon, half marathon and or the 5k. To save a few bucks use discount code JULIEEM19 to save $10.00 on the full/half.